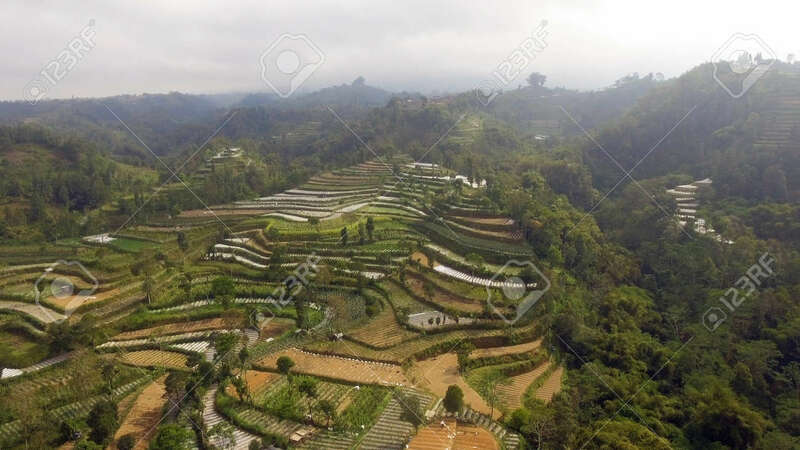 Agricultural Land In Mountains Rice Terraces, Fields With Crops, Trees. Aerial View Farmlands On Mountainside Java, Indonesia. Tropical Landscape Lizenzfreie Fotos, Bilder Und Stock Fotografie. Image 115258106.